What we need to do when the keys are either lost or stolen is change them instead of replacing them. That’s for security reasons alone. But in order for the new key to fit in the lock, we rekey locks in Aurora. This means that our tech will change the pins of the lock mechanism and their configuration to match with the grooves & ridges of the new key. 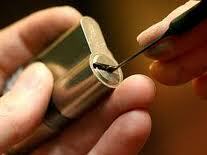 We offer all sorts of security solutions at Payless Locksmith Aurora. Our intention is to provide customers with cost-effective services and still ensure the security of their property. You can trust the skills of our technicians and the fast time of our response. We can rekey locks urgently too and our team will offer 24 hour emergency service. We offer lock rekey service in Aurora, Ontario, to spare you the potential nightmare of a burglary. This is possible when the keys of your property are found in the hands of other people. Just before you move to a new apartment, office, or house, think of your lock needs among other things. One of our techs will come to check if the locks are in good condition. If they are, there is no need to install new ones. We can simply rekey them. Key change is also vital when it’s stolen or even lost. For the avoidance of intrusions, we provide emergency service. We come to rekey the lock and make a new key for you. There is no point of making a key replacement in such cases. The lock must not work with the same key as before for the avoidance of a break-in. When we rekey locks in Aurora, what we do is remove the existing pins from the cylinder and place new ones in a different configuration. This will prevent the original key from getting in the lock, which will now operate only with the new key. What our pros can also do for you is turn the locks into a master key system. When we change the pin configuration, we fix it up so that it will work with both a master key and its own key. And so we offer you the solution of using one key to open multiple doors. Give us a call if you need such services or have questions.